The late actor's heir says the fashion brand is trying to capitalize on McQueen's iconic status to sell sweaters. 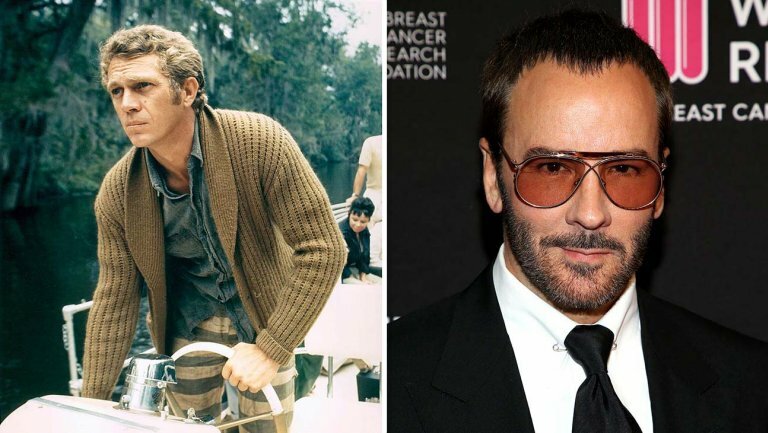 Steve McQueen made cardigans cool and Tom Ford is trying to capitalize on the late actor's fame, according to a lawsuit filed Friday by the late actor's son. Chadwick McQueen controls his father's rights of publicity and trademark rights, along with City National Bank, and claims Tom Ford's line of "McQueen" sweaters are infringing them. "Certain sartorial items in fact became synonymous with McQueen," writes attorney Keith Wesley in the complaint. "One such garment was a wool cardigan sweater with a shawl collar. ... McQueen made that sweater cool — so much so that James Bond wore one forty years later." Tom Ford is selling a "McQueen Cardigan" for $2390 and a "Merino McQueen Cardigan" for $1690 through its website (pictured below), according to the complaint. Meanwhile, Neiman Marcus is selling Ford's line and actually uses the actor's full name in the item monikers. Bergdorf Goodman describes them as "inspired by the iconic Steve McQueen." McQueen's son claims the companies are trading upon the actor's reputation and giving the false perception that the sweaters have been authorized by the family. He's suing for trademark infringement, false endorsement and unfair competition, among other claims.